Why East Med? Why now? The East Mediterranean is proving to be an abundant gas basin, but where will its production find Demand, and what routes will it take? 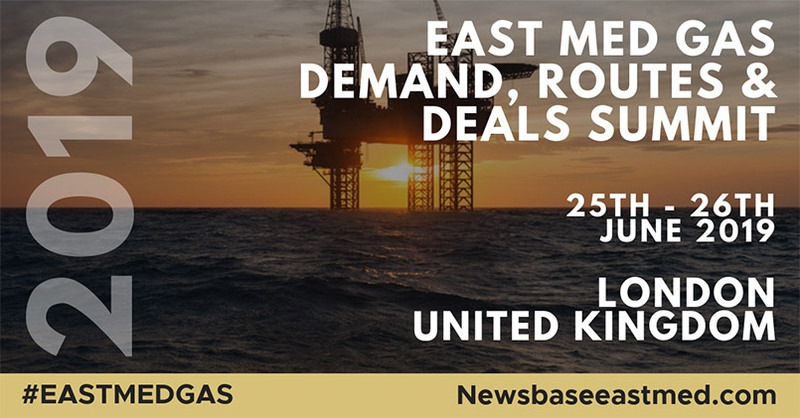 The East Med Gas Summit brings together the market players who have the answers to those critical questions of Demand, Routes & Deals. East Med Gas will be an innovative summit – one aimed at answering the important strategic questions in this region by putting data at the heart of the discussion. Through our interactive conference sessions and NewsBase Research’s Dynamic Iterative Forecasting process we will address the key questions affecting the region through the lenses of demand, routes and deals. Visit the Summit website for more information, including speakers and subjects. Registration includes access to all sessions. The registration also includes refreshments on both days and invitations to all networking and social events around the conference. In addition, on completion of the summit, delegates will receive a choice of two full-text Power and Gas Forecasts choosing from Egypt, Turkey, Israel, Syria, Jordan, Lebanon and Cyprus prepared by NB Research, including plant datasheets for each economy. We have a range of sponsorship packages available, meaning you can find something to give the maximum return on investment for most budgets. We also have some unique branding opportunities focused on aligning business objectives with brand values.